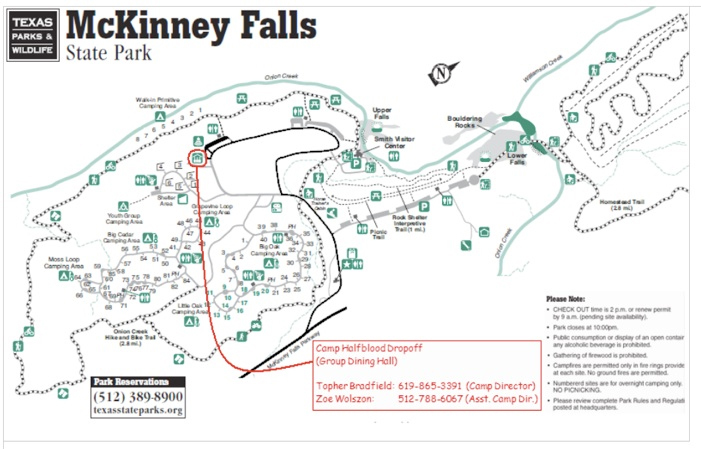 Below is a map to the park entrance for McKinney Falls State Park and Camp Half-Blood. This is one of the closest hotels to both Camp Half-Blood and Austin Bergstrom Airport. We’ve worked out a deal with the hotel giving you a reduced rate. Just mention Camp Half-Blood when you make your reservation.